Matrox Graphics announced that Matrox Mura IPX 4K capture and IP decoder cards are now available to OEMs and AV system builders. Available in models with and without fans, they are an integral part of advanced video wall controllers featuring high-quality, low-bitrate, multi-channel 4K or HD decoding over standard IP. 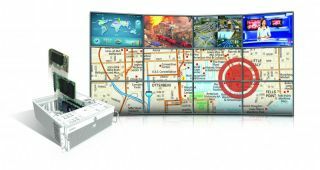 Designed to work with Matrox Mura MPX video wall capture and display cards and Matrox C-Series multi-display graphics cards, the Mura IPX capture and decoder cards pack 4K capture plus high-density decode functionality onto a single PCIe card to simplify integration and reduce installation costs. They provide four HDMI inputs for direct high-resolution 4Kp60 or 2560x1600p60 capture plus H.264 decoding of up to two 4Kp60, four 4Kp30, eight 1080p60 or sixteen 1080p30 streams. Models with fans provide onboard ventilation for compatibility with a wide range of systems. Fanless models are a reliable choice in validated platforms.